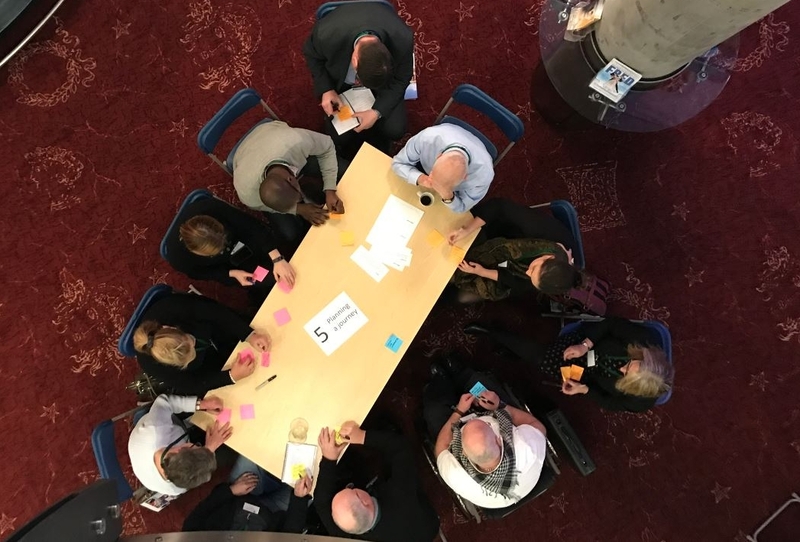 This post was written by Andy Hyde from Upstream, an organisation which aims to bring people affected by dementia together with those providing mobility services, to share their experiences, insights and ideas to develop and deliver new training experiences for mobility service providers in Scotland. 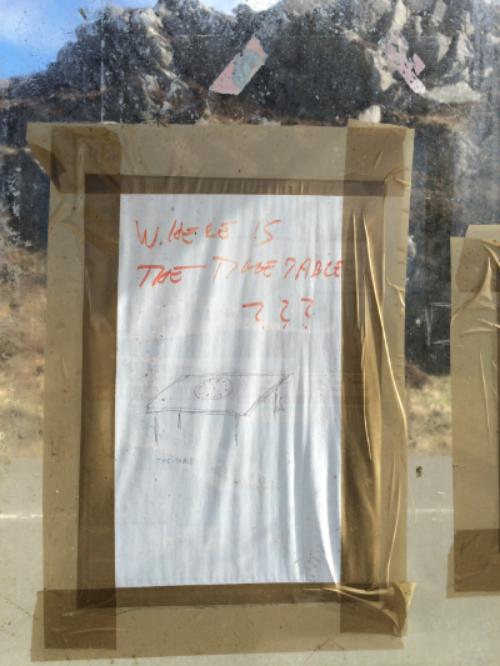 It’s a bus shelter. No, seriously, it is. 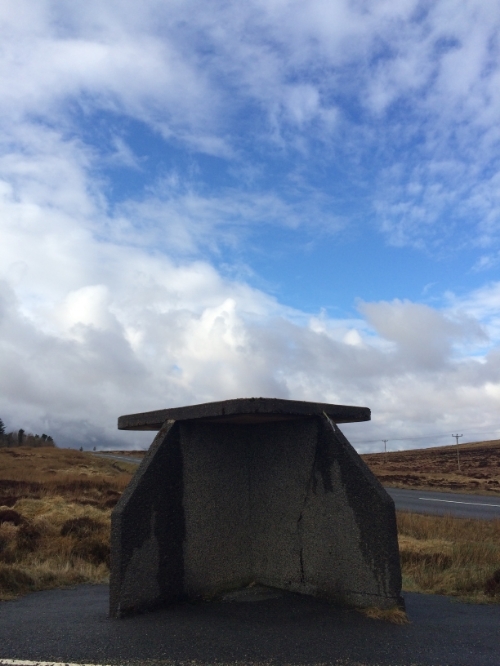 It’s called a Four Winds shelter and when you see it standing in a wind-swept spot, in the middle of the Isle of Lewis, you begin to see why. No matter what direction the wind blows from (and it can really blow) you’ll find a sheltered spot somewhere in there. We had already visited Staran, a community interest company that provides all kinds of services locally including gardening and transport. They have an impressive fleet of minibuses and adapted vehicles. One of the volunteer drivers Ken was just off to the local care home, so he offered me a lift and we chatted about how Staran transport was increasingly being used to take older and disabled people to medical appointments as well as errands around town and social outings too. 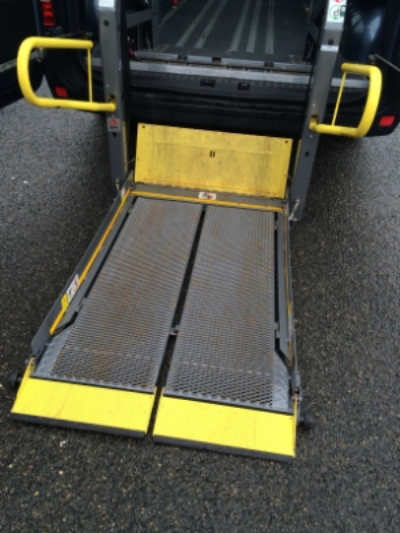 I had a go on the wheelchair lift into the back of a bus … those yellow stripes again. 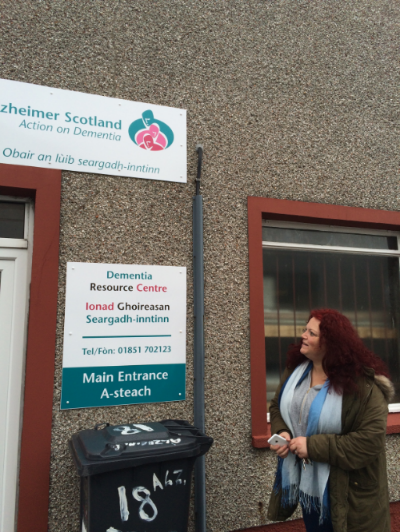 The Alzheimer Scotland resource centre in town was the next stop – this is where a group gathers regularly to share information, have a cup of tea and generally tap into local support. We had some lovely conversations and noticed a taxi or two pulling up outside. 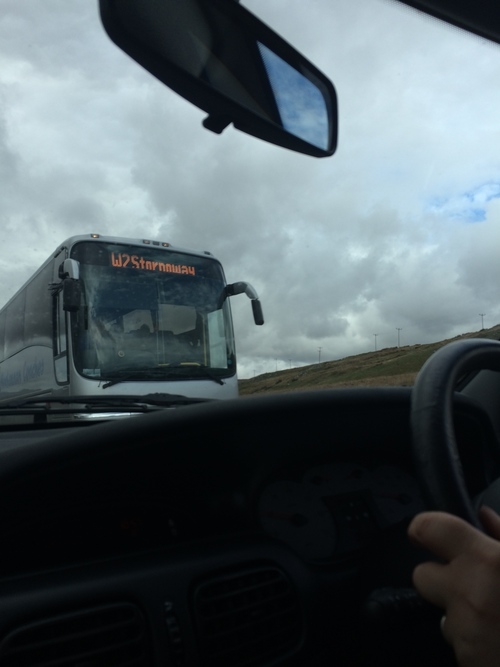 We briefly chatted with one of the drivers – yes, they regularly drop off here but no, not aware of guidance on the needs of people travelling with dementia. We need to point them to the SDWG film... (Travelling with Dementia). Back at Lanntair we chatted these things through with David Smart, the local council’s Transport Manager. Clearly it’s a challenge, keeping information updated across a large, remote region. 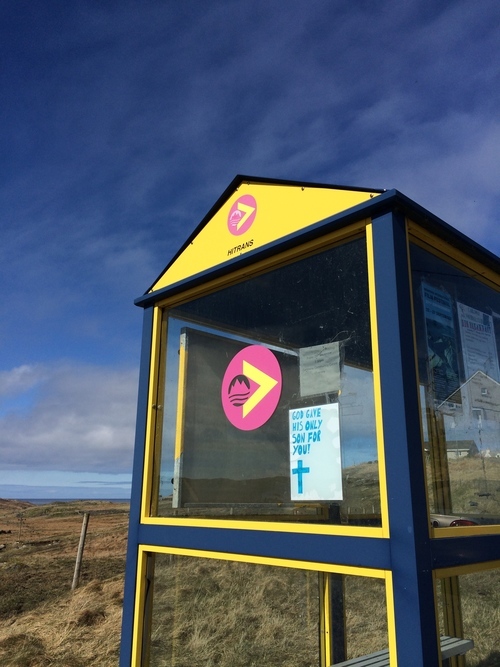 We learned that local minibuses provide short, circular services from remote locations, connecting people with more major island bus routes. Some of these are demand-responsive – you call and book them, so there is no timetable. David told us about the HI Trans Thistle Assistance card and the Ferry User-Group meetings. We talked about concessionary travel and wondered if a diagnosis of dementia leads to a travel concessionary card? The answer, it seems, is ‘it’s complicated’. 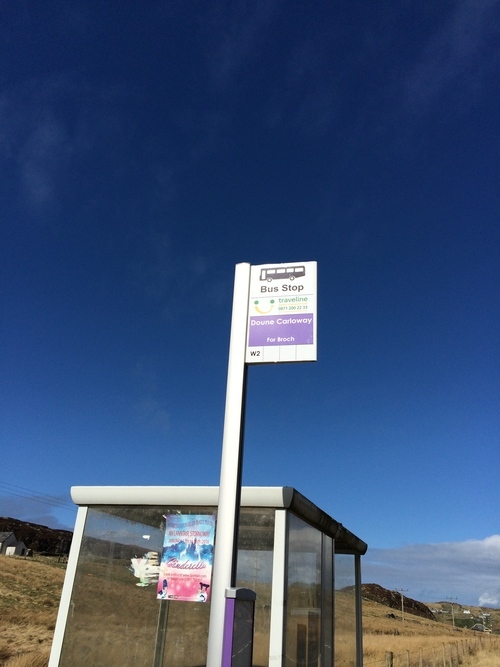 Alzheimer Scotland has useful advice on driving and dementia which has guidance on free bus travel ‘If you are 60 or over you will definitely qualify. If you are under 60, you might qualify – some local authorities include people with dementia and some don’t’. 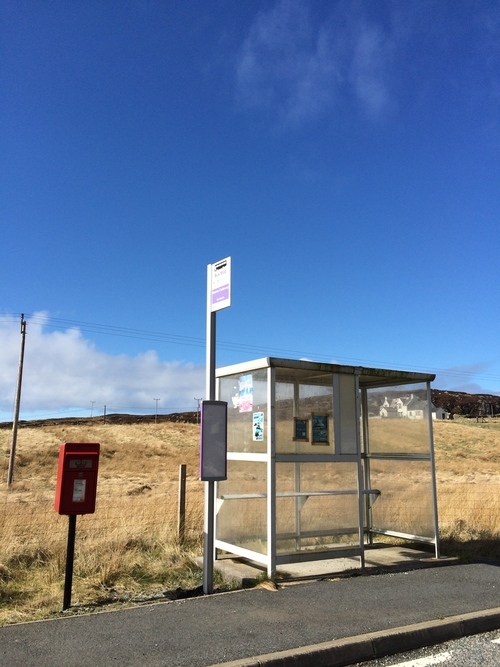 There are clearly many aspects of Island travelling with dementia to explore. 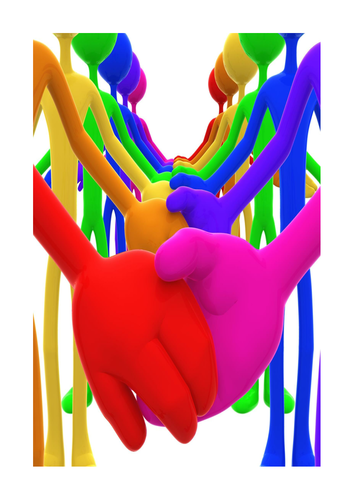 Many people and organisations play a role and we need to find ways of including them in our conversations. There’s also a vast amount of local knowledge for us to tap into and maybe a different, more personal side to travelling that we might not find in other areas – drivers and passengers often know each other. 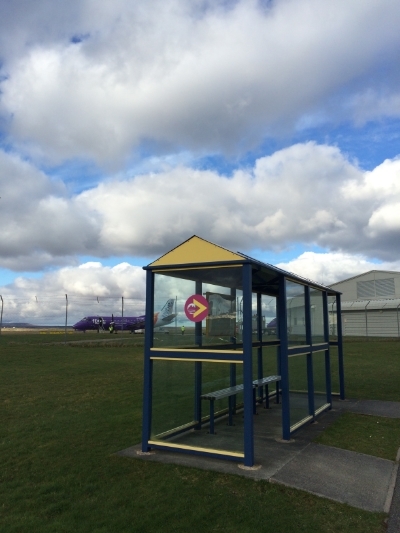 So, head buzzing with thoughts and ideas we headed back to the airport and one last bus-stop. Thanks to Paula for a day of thought-provoking conversations and sights – it has got us thinking about the similarities and differences we might find as we explore travelling with dementia in different areas. This blog was written by Nicky Gavin, a volunteer peer mentor with VOCAL (Voice of Carers Across Lothian). VOCAL provide both one-to-one and group peer support to carers of people with dementia. 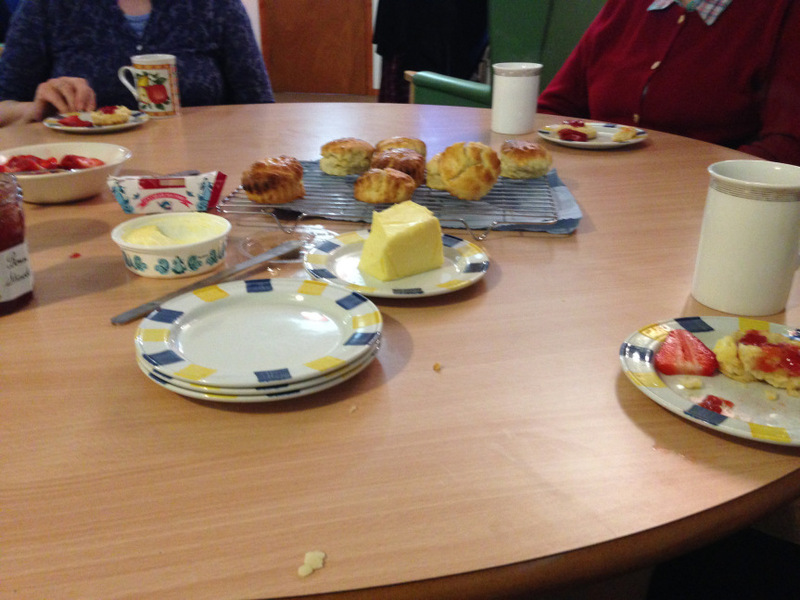 This service is one of the Trust’s 13 funded dementia peer support and befriending projects. Today, as I am looking after my granddaughter (which I do every Friday to allow my daughter-in-law to work), I find myself thinking about the past week. I have been volunteering with VOCAL – Voice of Carers Across Lothian – for a year now and this has been my busiest week with them so far. I had so much support from VOCAL when I was new to caring for my father, that I was really keen to give something back. Then Jane Greenacre, who is VOCAL’s Assistant Director and peer mentor co-ordinator, approached me to get involved as a volunteer. 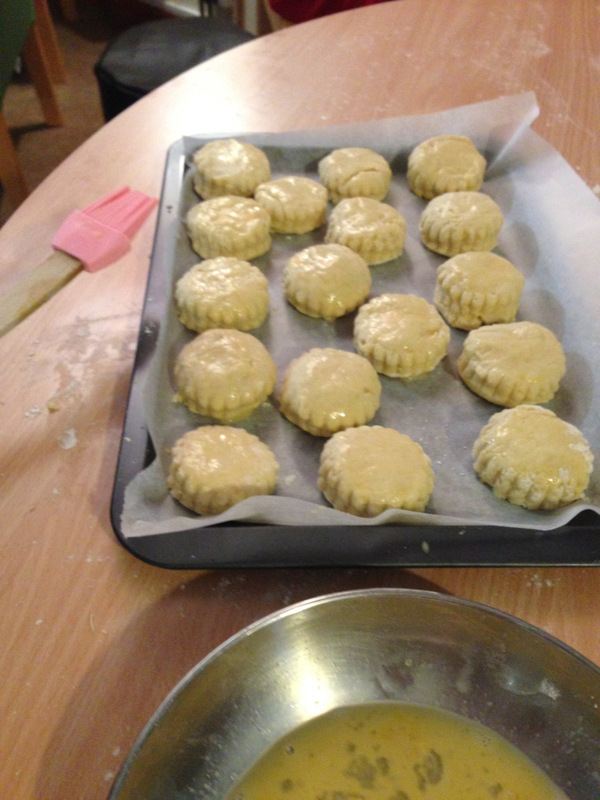 We discussed a few roles and I did try working in the carers centre for a bit, which I enjoyed, but when the mentoring project was mentioned, I knew it would be better for me. I learned so much caring for my Dad and consider myself a people person so it felt a good fit. Going through the training programme, I grew more confident that peer mentoring was something I wanted to do as I would not be giving advice (which I don’t feel qualified to do – what was right for me and Dad might not be right for others), but telling my story, letting others take the things they want to from it, and sharing experiences. Last week was particularly busy, as I am currently mentoring two different people and we also had a team meeting. On Wednesday, I had my final meeting with a person I have been mentoring for a while. We met in the same quiet cafe we have used for our previous meetings and, at her request, our meeting focussed on my role as my Dad’s power of attorney, so I shared quite a lot about the practicalities of this but also how I felt doing it. This is something I always try to do, as often my mentees have a good understanding of processes but find it difficult to use them due to the intense emotions involved. Saying our goodbyes was quite difficult as I will not see her again, but I left feeling upbeat as she kindly thanked me for my time and told me that it had been really useful to talk to someone who has been though the same thing as she had – none of her friends had been carers before. On Thursday I had a first meeting with a new mentee so we met in the Carers Centre (first meetings are always in the VOCAL offices). I got there a bit early to make sure I had the kettle boiled to ensure a warm welcome. 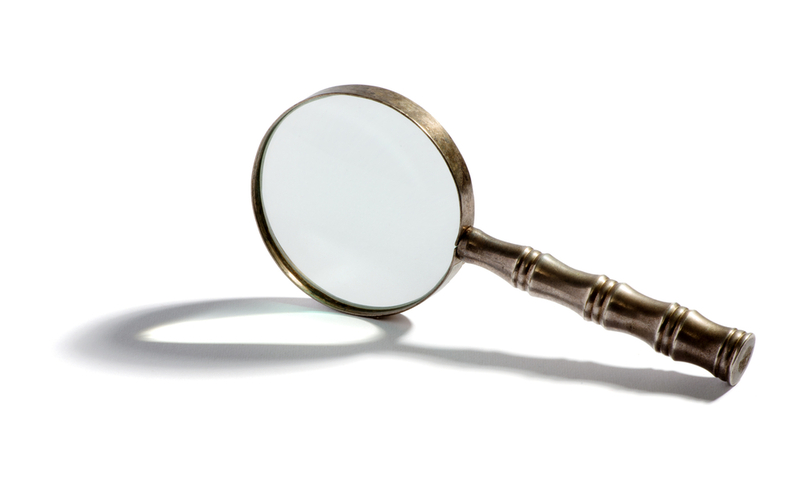 My new client was particularly interested in behavioural changes and how I coped with them. When I talk about this, I always think back to my training and am mindful of identifying the learning from my story, the positives, and the things I would do differently. It might not be too helpful to share all the struggles I had without providing some light at the end of the tunnel! The meeting went well and I was pleased that said she would like to meet me again. She had been unsure that we would have enough in common as she was caring for her husband, and I was a carer for my Dad, but she found it useful and we scheduled a meeting for two weeks time and she seemed to head off a little lighter than she came in. A number of new clients have been concerned that my Dad’s dementia was different from their own experiences with a loved one. That’s true, but what is common are some of the challenges that we face as families. The team meeting was good as always. I like going to the Centre and catching up with the staff but the peer mentor team meetings are the only time I see the other mentors. I like these meetings, as we really got on well as a group when we did our training, but also as it gives me a chance to learn from their work too. The meetings are quite structured by Hazel (the carers support worker who manages us) but she always allows us time to catch up as well and it gives us all time to reflect on how we do our work. 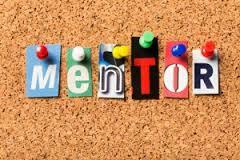 My mentoring journey has so far been really rewarding, and I am glad that it’s a journey I chose to embark on. Creating enabling environments in historic buildings – the challenges and the benefits. Many of us love going to the theatre and the arts, but what happens when people who may have enjoyed theatre all their lives find themselves living with dementia? Our staff at the King’s and Festival Theatres in Edinburgh started to notice this happening. Friends of the theatre who had been avid supporters over many years suddenly stopped visiting. After contacting them it was discovered that they had had a diagnosis of dementia and no longer felt confident coming to see shows. So the theatres starting asking the question ‘Is there something that we can do so that people can still come to the theatre?’ As a result last year the Festival City Theatres Trust applied for Life Changes Trust funding and were awarded £320,000 over three years to explore how our venues could become dementia friendly communities. Many venues around the UK are now offering dementia friendly events and shows as a part of their programme, adapting their procedures for these shows; putting up extra signage; having more frontline staff and/or volunteers working in key areas front of house and in the auditorium. Some venues now offer adapted dementia friendly performances of major touring productions as a part of their programming. We started to ask ourselves is this something we can do all the time? Could we adapt our venues and procedures and enable our buildings to be more accessible and user friendly 24/7? Key to any of this work has been and will continue to be the inclusion of the voices of people living with dementia, their carers and our wider audience as well. We also took the decision to have our buildings audited by the DSDC to give us a clear indication of the task ahead. So over the course of two days last September Chief Architect Lesley Palmer from DSDC visited the Studio Theatre and the Festival Theatre. One of the main challenges here is the age of the buildings and their differing levels of accessibility. The Festival theatre was rebuilt in 1994 with its iconic open glass frontage while retaining the original Milburn Brothers 1928 auditorium. 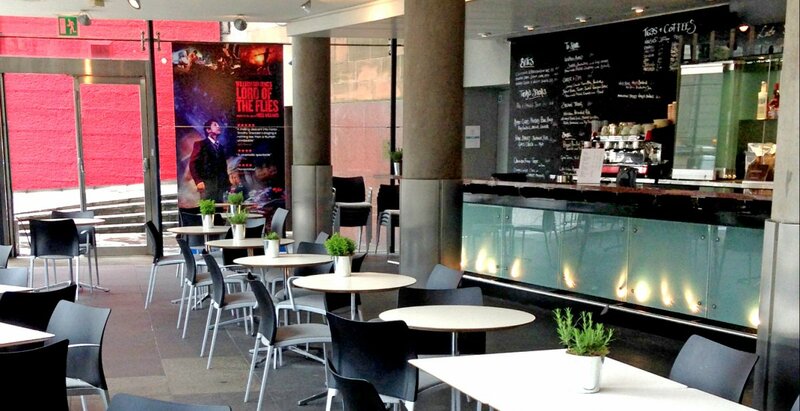 The Studio theatre opened in 2013 and is the most accessible of our buildings. Our sister venue The King’s Theatre is a grade A listed building and opened in 1906 and is the least accessible building with its own set of challenges. So for this article we’ll focus on the Festival Theatre. The process of adapting our buildings for people living with dementia will ultimately make them friendlier and more supported environments for many more people. The comprehensive audit from DSDC identified seven key areas for adapting the Festival Theatre and three areas for the newer Studio Theatre. 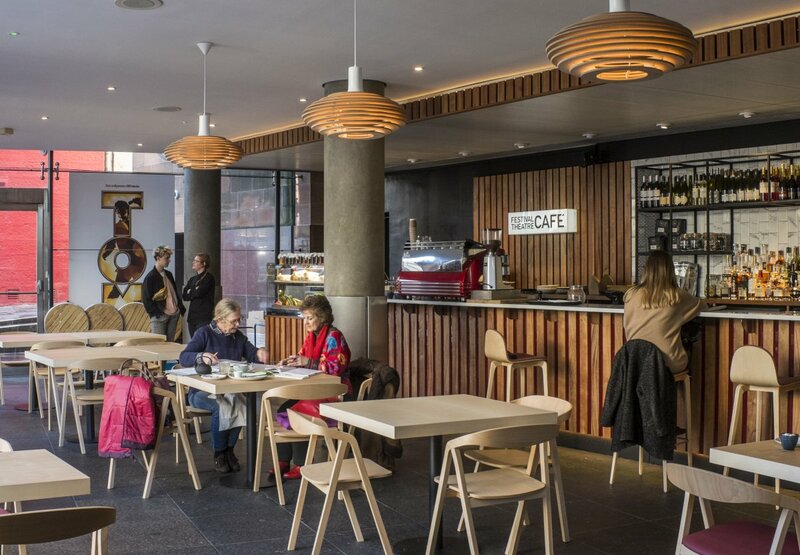 The café at the Festival Theatre was already due for a refurbishment before the project began and was number seven on the audit hit list. Not a huge priority but it gave us a great opportunity to implement some of the findings from the audit before taking on the bigger chunks. Here is the café as it was. There are lots of hard surfaces on the back and front of the bar which coupled with the slate flooring made the space very noisy even with just a few folk in and even more so with a sell-out show and 1915 people milling around the foyers. The lights were old fashioned directional spot lights that at night threw confusing shadows around the space and onto the tables and chairs. The tables were also quite reflective and the seating, with its grey seats and black backs which were contrasting in tone there wasn’t a sufficient contrast between the chair seats and the black flooring for them to be as visible as they could be for people with dementia and also people with visual impairments. The Director of Operations at the theatres, Brian Loudon, was able to liaise with appetite direct, the company who run the café, their designers and come up with a design that fulfilled the cafes desire to have a stylish environment for diners to enjoy their food and drink in and at the same time fulfilled our desire that the space should be as supportive as possible for a broad range of customers, but particularly those elements highlighted in the audit to support a more dementia friendly design. The new space has improved lighting, wooden surfaces on the bars to help deaden the acoustics, along with drapes and a new sofa style seating area to extend the café capacity and provide a more social seating area that has proved very popular with wheelchair users and some of our larger consultation groups with the dementia friendly project. It is a much more accessible space and the confusing menu written on the back of the bar wall has gone and has been replaced by a large glass fridge so that you can see the food before making a decision what to eat. As the project moves forward we will continue to work with our consultation groups on the implementation of the building audits and the group will now be assisting with the formal audit of the King’s Theatre this year. 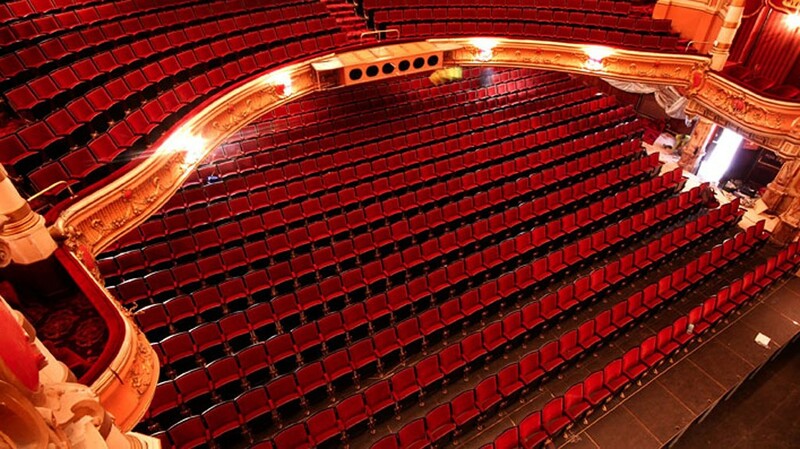 We want our theatres to be as welcoming and as supportive an environment as is possible for all our audiences. Not just our current audiences and for our future audiences as well. Paul Hudson is the co-ordinator for Forget Me Not at the Festival & Kings Theatres. This project has been funded by the Life Changes Trust and is supporting the Festival & King’s Theatres in making Dementia Friendly Communities. This includes programming events and performances which are suitable for people living with dementia and their carer’s. 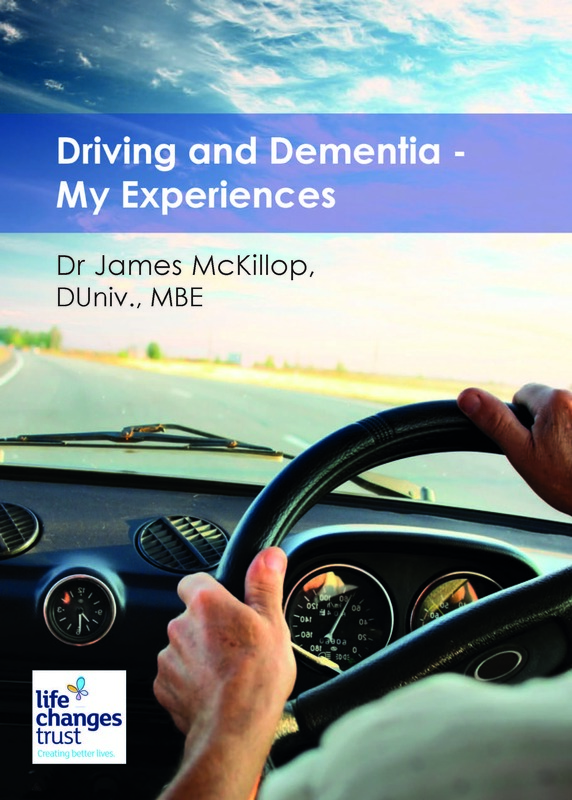 This blog first appeared on the Stirling University Dementia Centre website.